If you are considering investing in property, then you may already have some skills which will serve you well in your new venture. 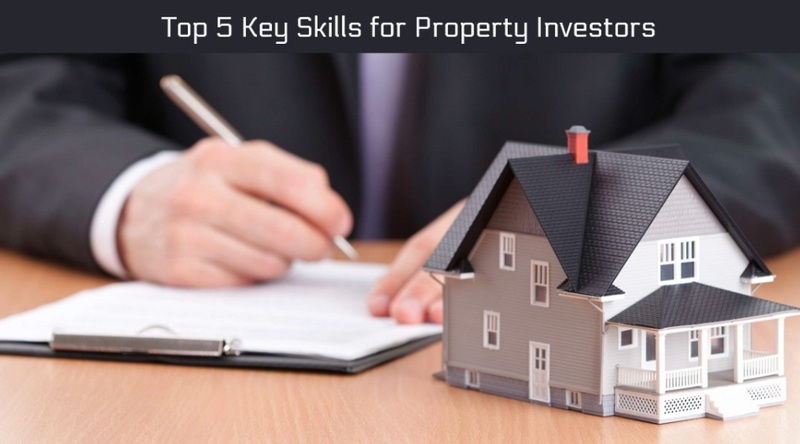 There are several skills and qualities that successful property investors possess. Find out whether you already have them and if not,you can start working on them now. You don’t have to be a mathematical genius to invest in property, but it is beneficial to have a good grasp of figures. Evaluating a property investment’s potential for returns is a key aspect of investing and being able to work out the maths quickly is a definite advantage. You will need to work out the potential yields of a property, the potential for capital appreciation, stamp duty and other key calculations for property investors. You will also need to know how to balance the books, and it is worth having a good accountant anyway. There is a considerable amount of decision making involved in all the stages of the property investment process. You will need to be able to make clear, logical and unemotional decisions. Being able to evaluate the strengths and weaknesses of an investment before you choose whether to go for it is another key skill. Whether you are deciding which mortgage provider to go to, which unit to buy or whether to invest in a project, a clear decision-making process is essential. One of the most important qualities a property investor can possess is patience. The housing market always experiences periods of uncertainty, and house prices can fall as well as rise. If you are a naturally patient person, then you are sure to know that sometimes it is worth waiting for a lucrative investment to pay off. Off-plan property investment is a great example of this, with investors having to see the potential of new developments before they are built, like those offered by RW Invest at below market value prices. The largest gains in property investment come over a long period, which is why being patient and waiting for growth is so essential. If you have run a business or managed a company, then this will be an advantage for you as you go forward with property investment.Being able to keep track of multiple projects at different times is essential. It is also important to understand the importance of cash flow, marketing, and margins, which are all things that a property investor must do. As a property investor, you will need to be able to make detailed plans for growth, as well as decide which opportunities are the best for you. It is also important that property investors know what is going on in the property market and what will impact their investments. A keen interest in UK house prices and an awareness of rental yields, trends and changing demand is certainly helpful. Being happy to learn and engage with the latest property news is a key part of understanding the property market and making the right investments.